Add two more tournaments and two more satellites as Day 6 takes place in the #TVWSOPCircuit Series. 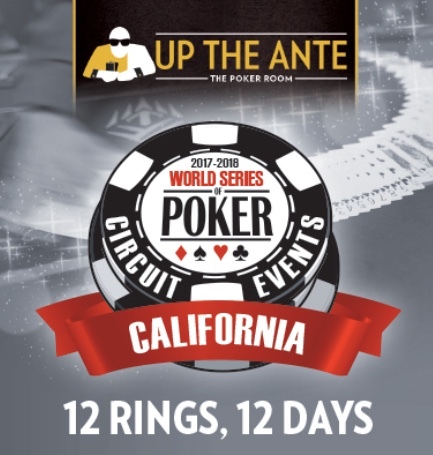 The 11am Monster Stack is the highlight event, a $365 buy-in with 20,000 stacks, 30-minute levels, one re-entry per player and a $50,000 Guarantee. 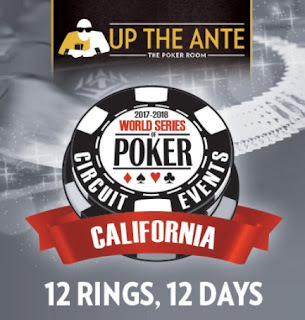 HORSE returns on the schedule, the 4pm Event 6 on the schedule, 10,000 stacks and 30-minute levels with no re-entries allowed. There's a $65 satellite to win seats in to $365 Circuit Events at 9am, while the 7pm. satellite costs $100 and players win seats in to the Wednesday 11am $580 Circuit Event that carries a $50k Guarantee. Find all the Satellite information here.